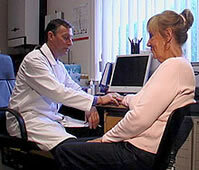 your physical condition - for example, distribution of body heat or the condition of your skin. Generally, after an initial consultation, you will come weekly to begin with and then, as you improve, less frequently. The speed of improvement varies more according to the person rather than the label of the complaint. Some people are much more improved after the first visit; others require more extensive treatment.